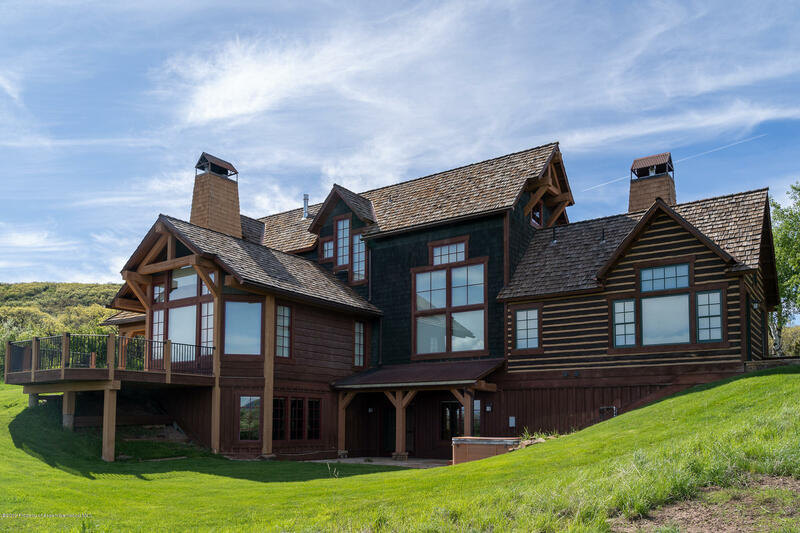 High Aspen Ranch is a gated community just outside of Glenwood Springs with easy access to Aspen, Snowmass and all of the Roaring Fork Valley. A private oasis with spectacular views on 36 acres Each lot in the community is approximately 35-40 acres, enjoy a community 10 stall barn, riding arena, clubhouse, outdoor pool, hot tub, tennis courts, and borders BLM! Trails for horseback riding, biking, snowmobiling, and cross-country skiing. This is a custom home complete with high end finishes, separate family room for the kids, fabulous kitchen open to dining, living and the amazing views! Owner financing available.